See I can do better. Sort of. I’ll start off with saying the same thing I mentioned on Goodreads. “I think this is the finest installment in the series so far.” That’s a Sam Vega original quote. Enlightening stuff, you’re welcome… FUNNY JOKE! Sigh. Anyways. I stand by that. But never has struggle been more evident than in this book. I think, in general, that is the mark of good storytelling period. 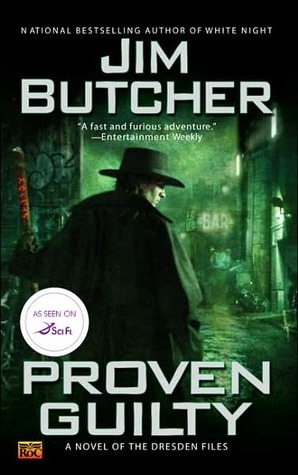 Butcher, I think, does a particularly good job with it here because he makes it so relevant to Dresden’s own inner struggle along with the actual outer struggle of the mess he’s dealing with in this adventure. I’m getting a little deep, but you can forget about all of that and still have a good time with this story. Remember last time when I said the story doesn’t take itself too seriously. This one definitely starts off with that kind of vibe before taking a dive into the usual Dresden mystery to figure out who done it! But we also get a big does of Molly Carpenter, this book, which in many ways is played out to be this typical rebelling teenager. Don’t worry, she’s supposed to be. The story then takes a cool turn into awesomeville, because Butcher then feeds us more bits about the Fae world and their place in the war against the vampires and their own war going on and man, it’s just a lot of cool stuff. I dig it and I really think anyone who appreciates ever expanding worlds of magic is really going to dig it too. So yeah, I think you gonna like this one. It’s a fun ride. So yeah, that’s that. Sorry if my reviews aren’t too helpful, but ya know, that’s that. Give it a read, yo.